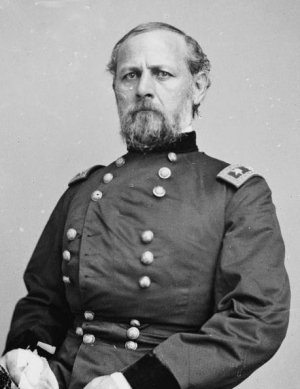 Native Ohioan Don Carlos Buell was a Union general during the American Civil War who directed the Department of the Ohio and commanded the Army of the Ohio in the Western Theater. Buell's army helped turn the tide to a Union victory at the Battle of Shiloh (April 6-7, 1862). Buell also forced Braxton Bragg to retreat from Kentucky in the autumn of 1862, ending the Confederate Heartland Campaign.